Sweet, orange-scented and chock-full of cranberries and walnuts, this bread is perfect for the holidays. Sweet, orange-scented, and chock-full of cranberries and walnuts, this quick bread is tailor-made for the holidays. I came up with the recipe as a way to use up loads of fresh cranberries I had left over from Thanksgiving. There was a Cranberry Nut Bread recipe on the back of the cranberry bag and I figured, “How bad could it be?” Well, I should have known better! It was dry and sunken in the middle. A pound of butter, five loaves, and one very messy kitchen later, I arrived at this version. It’s a classic quick bread, which means quick and easy to throw together. The hardest part is chopping up the fresh cranberries because they like to roll all over the place. It’s important to use fresh as opposed to dried because they add a pleasant tartness and look so pretty and festive once the bread is sliced. Begin by combining the buttermilk, orange zest, orange juice, melted butter and egg in a small bowl. Since the recipe calls for only 2/3 cup of buttermilk, you might not want to buy a whole carton. It’s easy to make your own by combining regular milk with a bit of lemon juice or vinegar (see recipe below for exact quantities). Whisk well to combine and set aside. Next, combine the dry ingredients together in a large bowl. Stir gently with a rubber spatula until just combined. Add the halved cranberries and nuts. Scrape the batter into a greased loaf pan. Bake for about one hour, then cool in the pan on a rack for ten minutes. Preheat oven to 375°F and set an oven rack to the middle position. Spray a 9 x 5-inch loaf pan with non-stick cooking spray. In a small bowl, stir together buttermilk, orange zest and juice, melted butter and egg. Set aside. In a large bowl, whisk together flour, sugar, salt, cinnamon, baking powder and baking soda. Stir the liquid ingredients into the dry ingredients with rubber spatula until just moistened. Gently stir in cranberries and nuts. Do not overmix. Scrape the batter into the prepared loaf pan and spread evenly with a rubber spatula. Bake for 20 minutes, then reduce the heat to 350° F. Continue to bake until golden brown and a toothpick inserted into center of the loaf comes out clean, about 45 minutes longer. Cool the loaf in the pan for about 10 minutes, then turn out onto the rack and cool at least 30 minutes before serving. Note: Cranberries are a bit tricky to chop because they roll all over the place. I cut them in half one at a time -- seems tedious, I know, but there aren't that many so it doesn't take long. If you're using frozen cranberries, be sure to slice them while they're still frozen. Note: If you don't have buttermilk, you can make your own by adding to 2 teaspoons lemon juice or white distilled vinegar to a liquid measuring cup. Add milk until the level reaches 2/3 cup. Let sit about 10 minutes until the mixture curdles. Hi, can the batter be made and then stored in fridge for later use? Hi Matt, Unfortunately, this needs to be baked right after mixing. Sorry! Turned out great.I would not change a thing.Family had it gone in no time an I was lucky to get one slice. Delicious. I used dried cranberries, which I pre-soaked in a drop of the orange juice, and they worked perfectly. I baked this loaf in a mini 4 loaf pan, for 10 minutes at 375 and then about 20 minutes at 350. I love the mini loaf pan, so my husband and I can enjoy 1 loaf, and then freeze the other 3 or give them to the family. But … maybe we’ll eat all 4 loaves ourselves this time. With the dried cranberries on hand, it’s so easy to bake this loaf any time as a treat for others. Thank you, Jenn, for yet another lovely recipe. 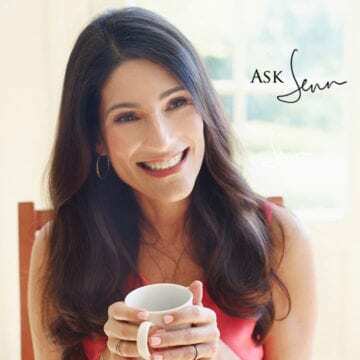 Hi Jenn, Does it matter if I use a metal loaf pan or a glass loaf pan? And if I use a glass pan, should I lower the oven to 350 degrees? Many thanks for your reply. Hi Karen, no need to reduce the temperature to bake this in a glass loaf pan. Hope you enjoy! Made this superb cranberry nut bread to the delight of my holiday guests. Followed the recipe exactly just added 1/4 teaspoon of freshly grated nutmeg. I have made many of Jenns recipes, never had a failure or one I did not like. I have your cookbook and use it alot; please do another one! Can I use this recipe to make mini loaves? Sure, Jessica – you’ll just need to reduce the cooking time. Enjoy! Admittedly, I had never even tasted a fresh cranberry before but I picked up a bag on a whim when they were on sale this season. The berries are very tart but the bread provides a perfectly sweet counterbalance. I doubled the batch and threw in the entire 12 ounce bag of cranberries. I sliced the big ones in half but left most whole. I can never resist tinkering, I added a teaspoon of cardamom and a splash of vanilla for extra flavor and cut back the salt a little (3/4 t. for the double). Very tasty! I think it might benefit from another egg because it wants to crumble apart easily when sliced. The double batch made 8 mini loaves, baked for 32 minutes at 350F for the entire time. For years I used my mom’s recipe for cranberry bread. Your recipe tastes better and is now my go-to. Sorry, Mom. Hi Jenn, Would like to add this loaf to my New Year’s Day brunch menu. Could I sub pecans instead of walnuts ? Love your Cook Book and your web site. Your recipes turn out perfectly every time. Great thank you !!! This is the perfect holiday bread especially if you are short on time. Your dry ingredients in one bowl with your wet ingredients added to it and your done. No mixer needed. Not only is it delicious but it is beautiful to look at as well. Just follow the simple instructions and you will have a winner to eat or give as gifts. I’ve made the Cranberry Nut Bread twice this season. Love the flavors and the crusty edges. I used fresh cranberries and made two small additions. I added a scant teaspoon of nutmeg and a teaspoon of Gran Marnier. Delicious, hearty and very flavorful. Great for the holidays and all year long. Thanks, Jenn! Hi Lisa, I’m not sure I understand your question since the unsalted butter I use is real butter. Could you clarify? Thanks! This recipe is the best! Followed directions exactly and it came out beautifully. Best tasting cranberry nut bread we ever made. Husband can’t get enough. So Good and pretty too. I make this every year and give it as gifts for Christmas as well as on the appetizer table for Christmas. A Christmas tradition. I love this cranberry bread! It is not too sweet, has a slight tartness from the orange zest and easy to make. Moist and delicious for breakfast or just with an afternoon cup of coffee. It freezes beautifully which is a plus so you can make multiple loaves to have whenever you like. It tastes good warm from the oven with butter, slightly toasted or even cold. I have made this cranberry loaf several times and it always gets rave reviews when I serve it. I like the suggestion to use pistachios for the holidays. This bread is the best! I make it for the holidays and give it as a gift. Hi Karen, I would estimate 20 25 minutes. I’d love to hear how they turn out! I thought this was a really good recipe. I made some substitutions to make it healthier – I used spelt flour instead of white flour, and I used less sugar (3/4 cup), and I used coconut sugar instead of white sugar. I turned out lovely! Do you think pistachios would be a tasty substitute for the holidays? I thought the red & green colors would be festive, but don’t want to ruin an entire loaf it you think it wouldn’t work. Sure, Mary – I think pistachios would work nicely. Made this tonight and it’s simply amazing! So good!!! I added melted butter, cinnamon and sugar mix, and walnuts on top as I do with my banana breads. It’s great!! I also love the website here. I’ve found it to be the most user friendly recipe site. I’m making more of these. That’s for sure! Love!! Sure, just divide the batter between two loaf pans. Enjoy! Nutmeg?? Where do see nutmeg in this recipe? I was snowbound yesterday & whipped up half a dozen muffins. Another great recipe. Jenn, I made and LOVED it. So easy to put together. I cheated and gave the cranberries a couple of quick chops in he Quisinart, Liked the flavor much better than the one I previously made. Besides being delicious, it was as pretty as a picture. Can I substitute Plain Kefir for the Buttermilk? Is it ok to make this a few days in advance of serving? Sure Lynn, they are pretty moist and will keep nicely for a few days on the counter. This turned out fantastic. It has been years since I have made cranberry bread and this year we ended up with too many cranberries. After this loaf, I made 2 more. excellent. I’d love to make these as mini loaves for gifting. I’ve done that with some of your other recipes but since this calls for a reduction in temperature, can you give me some feedback on how/when to reduce the temperature and cooking time. Meanwhile, I’ll be busy baking your chocolate banana bread. Yum! Hi Ilene, I reduce the oven temp after about 10 minutes and then start checking them for doneness at about 30 minutes. Please let me know how they turn out! They turned out great with your instructions for mini loaves. Today I made your sour cream coffee cake. It’s cooling now and came out of the pan perfectly. Love your recipes. Delicious recipe! You website (and cookbook) are a ‘go to’ for excellent recipes. One question, though. My baking pans are dark and the outside was a bit darker than ideal. Any suggestions? Should I turn down to 350 sooner than the 30 minute mark? Hi JoAnn, I’d follow the same timing but reduce the temps by 25°F. Hope that helps! The cranberry bread was delicious! Just wondering if you have a suggestion as to how to avoid the top of the bread having a separation or a crack across the top. Thank you. Glad you liked it, Rita! The crack on top happens when the top of the loaf sets in the heat of the oven before the bread is finished rising. It doesn’t mean you did anything wrong – it’s pretty typical for quick breads. I loved this recipe! I made it just as the recipe was written and my family gobbled it up. This is definitely worth making! Can I substitute oil for butter in this recipe or any other one on your blog? Yes, Lea, because the butter is melted in this recipe, it can be replaced with oil. That’s definitely not “one size fits all” though, so if you have questions about other recipes, I’m happy to weigh in! Made a loaf last weekend, made two loves today. Love, love, love this bread. There is a fair amount of prep for this recipe, but it is so worth every morsel. Wow! Best bread recipe I’ve ever tried! The aroma while baking is fantastic, and would surely get your guest’s mouths watering upon arrival. I’m new to your site, but will be back for sure. Thank you for sharing! This makes the best cranberry nut bread! The only change I made was to toast the pecans before adding to the batter. I made this more out of curiosity… and it was surprisingly great! It reminded me of fruit cake if fruit cake was actually delicious. Probably perfect dessert for the holiday season. I used frozen cranberries and didn’t adjust the cook time and it still came out good. I have been making this recipe as written, my family loves it and I love that I get to use fresh cranberries and fresh orange juice or fresh mandarin oranges in season. You must try this recipe, it is a keeper! This is the best recipe. We have been trying to cut down on sugar so I only used 1/2 cup. We loved it and it has become one of our favorite treats. Delicious! I really enjoy your site. It has become my go to for recipes that I know will be good. Appreciate all your hard work! Delicious! Moist, tangy and not too sweet. Easy to pull together, bakes beautifully and comes right out of the pan. I will definitely try the bread toasted with cream cheese as another reviewer suggested. I love this and probably make it for my family once a week. But getting it out of the pan? I struggled with this. Parchment paper did the trick. Just like Granny taught me! Thanks Jenn for a fantastic cranberry bread! Delicious bread and excellent way to use holiday leftovers! Will definitely be making again. I have tried several recipes for cranberry nut bread over the years and once again, found Jenn’s recipe to be the best! The buttermilk, fresh orange zest and butter all lend rich, delicious flavor to this moist loaf. Last week I baked two loaves with the last of the fresh cranberries. I sliced and froze individual packets, each with two slices, in a plastic container. A perfect treat any time of day. Thank you, Jenn! This is the best cranberry nut bread! It is moist and very tasty. We are lightly toasting it and eating it with cream cheese for breakfast with our coffee. Perfect. This is by far the best recipe I have ever used for cranberry nut bread. I followed the recipe without modification and could not have been more pleased. It was moist and bursting with flavor. Extra loaves were baked for sharing with friends. Hi Sally, you really need to stick with the buttermilk here as it helps with the leavening. Sorry! It’s not necessary but they will be easier to chop if defrosted. I have made the Oceanspray cran nut bread for twenty years. My family wouldn’t know it’s Christmas without it! The only tweaks I make is leave the cranberries whole and roughly chop the walnuts just a bit. Don’t over bake! I have frozen cranberries. Will they work in place of fresh? Sure, Nancy, just be sure to chop them while they’re still frozen. Enjoy! I was looking for a cranberry bread recipe and decided on this one. So glad that I did! I used the zest and juice from fresh oranges and I also cut the cranberries into thirds. I made the buttermilk with milk and lemon juice and everything came out perfect. My family gave it a 10! So moist and the perfect balance of sweet and tart. The only thing that I changed was when I made mini loaves with it, I used parchment paper so that they could easily be taken out. How many mini loaves does this make and approximately how long did you bake them? Parchment paper was used only in the bottoms of the mini loaves for easier removal? I actually had the parchment paper up over the edges so I could pull them out easily. Worked like a champ. Each regular loaf tevipe translated into 3 mini loaf pans. They were perfect! Oh, and I greased both under and above the parchment paper. Made for easy removal. I added some almonds and did my own buttermilk. It was a hit. What should be in internal temp. For cranberry bread? Hi Helen, I don’t generally measure the temperature of a bread, but use other cues to determine it’s doneness. That said, I believe you want the internal temperature to get to somewhere between 200 and 210 degrees. I am big fan of your recipes. I want to make this one for my family and have a question. My daughter is allergic to walnut and pecans so can this be substituted with almond? Any suggestions/recommendations? Made this and two other quick breads (from this website) for a Christmas potluck. Received lots of positive compliments for all. But the hostess especially enjoyed this cranberry walnut bread. Thank you Jenn for testing and perfecting your recipes. Every recipe I have tried has been tasty and delicious! Can hardy wait for your book! I absolutely love this recipe! However I was wondering how long would you recommend cooking the bread in a mini muffin pan? Hi Amanda, Hard to say, but I’d start checking around 12 to 15 minutes. Love this bread! So simple. Giving mini loafs as gifts in 4 days. Should I freeze or refrigerate them? Should recipients refrigerate it immediately? Hi Jeanne, If you’re making them now for the holidays, I’d freeze them. The recipients don’t need to refrigerate them – they are quite moist and will keep for a few days on the counter. The cranberry nut bread was delicious. Perfect recipe for cranberry bread! Many recipes are dry and crumbly, but this has the citrus, berries and nuts exquisitely proportioned. So easy to make, and it freezes beautifully. I make it throughout the year and not just at holidays. I had an extra bag of fresh cranberries in the fridge and was looking for something to do with them, I came across this recipe and decided to give it a try. It was delicious. Would not change a thing. Looking forward to making again over the the Christmas holidays. I absolutely loved this bread! I tried it as written and it was fabulous and liked it even better when leaving out the walnuts as a personal preference. My family asks me to make it for them all the time and the only reason I don’t do it more often is that the cutting of those cranberries takes so long. But when you have the time, the end result is so worth the effort! When I saw this recipe I was excited because I already had everything I needed to make it. It was excellent! My family loved it, and I’m making several loaves to share with my co-workers next week for the holiday. I’m going to sprinkle the top with demerara sugar as suggested in a different review. Delish as usual, Jenn! Thank you so much for another great recipe! I make this recipe many times every holiday season for my family and give as gifts…it’s always a hit. I love a recipe that’s easy and tastes delicious every single time. I make as written with one change, I use less sugar (about 1/4 cup less). I suggest that you make it without any changes and then decide if you want to change cause it’s delicious as is I’m just trying to eat less sugar. Excellent flavor & reduced sugar to 1/2 cup which really highlights the tartness of the cranberries. Another great recipe by Jenn & will add more cranberries next time. I love the tanginess of the fresh cranberries in this. We reduced the sugar to 1/2 cup and salt to 1/2 tsp. That’s just about perfect for us. Love this bread! I sprinkled demerara sugar on top before baking to give it an extra crunchy/sweet lid — takes it over the top. First time I made this as a loaf my family loved it. I just made these as muffins and it was a hit run again. Thank you for all your recipes!! This was delicious!!! Thanks to an earlier reviewer with high altitude adjustments (reduce baking powder by 1/4 teaspoon and add 1 egg) this worked perfectly here in Denver. Thanks Jenn. This is a keeper! Exactly the recipe for Cranberry Nut Bread I was looking for! I didn’t change a thing. The recipe was doubled and baked in 5 small cans, one star mold and a small loaf pan. I just sprayed them all with a non-stick spray and they all came right out. I plan to freeze these – slice them frozen – and serve to a women’s group. Excellent just the way it’s written. Thanks for another “keeper” recipe. I’ve made this twice and it’s great!!! My 2 year old loves it too!!! Plan on making it a lot. I’m wondering, Is it freezable? Glad you like it, Melissa. It freezes well :). Love it. I get really frustrated with all the people who change up the recipe but still comment as if they used the original one. When I stirred the liquids together, the buttermilk curdled…. Is it still okay to use in the recipe, or should I start over? What did I do wrong? Hi Ellie, It’s fine to use – that’s just the acidity of the orange juice working on the buttermilk. love this bread. I made 2 loaves and used 3 cups of cranberries because I needed to use them up. I used coconut milk and two tablespoons of vinegar. I soaked the Cranberries after chopping them in OJ to help bring out their wonderful Tartness a little more drained them well (same OJ I used in recipe) chopped the walnuts a bit and toasted them to help release the natural oils and increase the nutty Flavor. The Crumb of this quick bread is perfect as it is absolutely perfect. When I made this bread I didn’t have cranberries so I used craisins. It was still delicious without the tartness. I have made this delicious loaf a few times and given it as gifts as well. It is always well received. The last time I used blueberries instead of cranberries and it was equally delicious. Just might eat the whole loaf myself tonight…make another and pretend nothing happened. Delicious! I made them into muffins, cut back the salt to 1/2 t. & used lemon zest because I didn’t have an orange on hand & we were having a snowstorm, so I couldn’t get out. They turned out great! This batter made 12 exact muffins filling cups near full. As in another review, I checked them after 12-15 min. Could I substitute ricotta cheese for the buttermilk? I have some that I need to use. Thanks! Hi Emily, Ricotta won’t work in place of he buttermilk – sorry! But today I was looking for something new and I’m very happy I tried this recipe. I made it as recommended, using pecans since I had them on hand, and buttermilk made from milk and lemon as suggested. It was delightful. Everyone enjoyed it, even my fairly picky father-in-law, who claims to not like cranberries. All my houseguests keep wandering into the kitchen to cut another slice and I don’t expect this loaf to make it through the day. So my only suggestion is make two loaves. I am interested in trying greek yogurt, thinned with a bit of milk, as a substitution for the buttermilk. The initial bread Made had the same color (not this recipe). D/W my sister (the chef)–I mistakenly put the walnuts AND cranberries together with batter and mixed. I should’ve stirred them manually rather than using my Kitchen-Aid. I also always double the nuts and cranberries because I love both of them. Sometimes sprinkle a little coarse sugar on top which adds a nice touch for muffins. Just made this lovely bread today….house smells of Christmas! Recipe was perfect with no tweaks….and, the bonus….I never knew I could make buttermilk from lemon and milk before today….thank you for that very helpful information! You’re welcome, Ellen. So glad you enjoyed it and Merry Christmas! This is by far the best cranberry bread I’ve ever tried……moist and delicious. Wonderful job, Jenn. Love this bread moist and delicious. love cranberry and orange togerther. I would love to do it as muffins. What would I need to change if anything? Hi Louise, Only the cooking time would change. I’d start checking around 25 minutes. Hope they turn out well! I like this recipe. My friends also loved the bread.Thanks. Can I use a Meyer lemon for the zest instead of an orange for the zest? Sure Nina, that will work. Enjoy! i dropped the cooking time down to 60 mins overall because my loaf was done and quite brown. I like the flavor of the bread, but the outside was VERY chewy. I am debating finding another recipe and re-doing, as these loaves were for my office tomorrow…. Absolutely delicious! The tartness from the cranberries are delicious with the sweet, but not too sweet, crumb from the bread. I toasted the walnuts before adding them to the bread. Will make again! This bread tastes amazing. I don’t think the photos do justice to how pretty this bread is when sliced. I have never made it with actual buttermilk, I’ve just followed the directions for making it that are included in the recipe. Can you freeze? so many positive comments I didnt ready through all. Yes, this bread freezes well. Instead of making one large loaf I would like to use this recipe and make small individual loaves to give as holiday gifts. Any idea what the bake time would be using the small pans? Hi Stefani, I’d start checking them after about 25 minutes. Hope the recipients enjoy them! When do you start the 25 minutes? When you put it in the oven or after the initial 20 minutes at 375? Hi Marj, you can just keep this at one temperature and bake it for about 25 minutes at 350. This recipe is soooo good! Would not change a thing. This is a great bread for the holidays. I’ve used dried cranberries and reconstituted them with hot water, worked great. Also have tried plain Greek yogurt instead of buttermilk, because that’s all I had, tasted good. Looking forward to more recipes posted over the holidays. This is another wonderful recipe from Jenn. We have loved every dish I have made from this site. This bread is moist and flavorful and has become my favorite cranberry bread recipe. Can’t wait for the cookbook! Thanks Jenn. Hi Jennifer , would you have the metric or imperial measurements for your lovely bread as I would love to try your recipes . Thanks. Ann. Ireland. Hi Ann, I just added the metric measurements for this. To view them, scroll down to the recipe and immediately under the recipe title on the right side, you’ll see a little toggle. If you move it from “cup measures” to metric, you’ll see measurements that will work for you. Please let me know if there are other recipes you’d like to see the conversion for. Enjoy! I have made this recipe several times. After the first time I stopped chopping the cranberries and did not have any loss of quality in the finished product. I also increased the cranberries to 1 1/2 cups. Last modification was to toast the nuts until light brown. Love, love, love this bread! I enjoy quick bread recipes and this was so easy to put together, I continue to make it every other week. Husband is not a lover of really sweet desserts, so this is a favorite for him. Love receiving your emails and have made many of your recipes with great success. 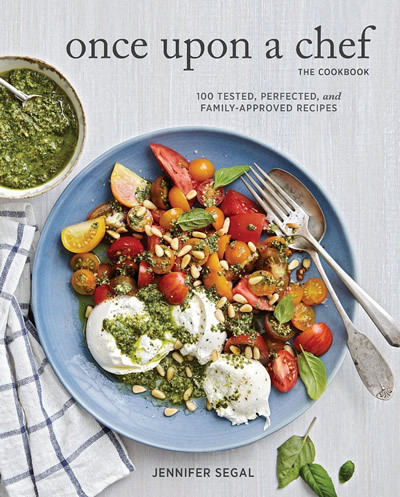 Once upon a Chef is my go to site for all recipes. I know Jenn has tested and perfected each recipe and this is no exception! Perfect! Would absolutely make again! Fabulous! Everyone loves this recipe. It has become my go-to when I need to bring a loaf for coffee. I made this for Thanksgiving this year and it was a huge hit! My aunt loved it so much, she asked me to make it again for Christmas! Was looking for a different bread recipe. This one was exactly right on the money. Love, love, love it! Thank you! This recipe makes for delicious, moist bread! I substituted pomegranate juice since I didn’t have orange juice. Yum! This bread is a family favorite, and I make several every Thanksgiving because the berries are plentiful. I coarsely chop them in a mini food processor, which works perfectly. I would like to use the nordicware quartet Bundt pan that holds 9 cups.do I need to do anything different? I’ve never tried this in a bundt pan, but I think it should work. The baking time should be about the same, but I’d keep a close eye on it. Excellent! It’s very moist and has a nice tang from the buttermilk and cranberries. Just baked this cranberry bread earlier today and it came out absolutely gorgeous. It’s a large loaf, perfectly browned, moist, with cranberries and nuts evenly distributed. And, it tastes absolutely wonderful! This was my first attempt at cranberry bread (I’m a banana bread girl) and what a positive experience! Thank you! Another terrific recipe! The marriage of orange and cranberry is a beautiful thing. They just plain go together, much like chocolate and raspberries. The flavors in this bread meld together beautifully. Thanks for another great recipe Jennifer! Hi can I make this in a bundt pan instead loaf pan? Yes Jane, I think you could, but depending upon the size of the bundt pan, you may need to make 1 1/2 times the batter. Here’s a resource that I find helpful in figuring out potential adjustments. I really liked this recipe although next time, I’d probably use 50% more cranberries. Found myself wanting more tartness. Hello Jenn, Made the Cranberry Nut Bread today. It is absolutely delicious. However, berries are not as evenly distributed as shown in your photo. I don’t think I over mixed ??? Have heard that if fruit is dusted with flour berries tend to not drop. What do you think ?Do you have a suggestion? Hi Yvonne, Glad you liked the bread! While typically I don’t have a problem with the cranberries sinking in this bread, you can certainly try tossing them in a bit of flour to see if that helps. Instead of frozen or fresh canberries, can I used “craisins”, the dried cranberries that come in a sealed bag? Hi Jackie. I worry the bread would be too sweet with those. Fresh cranberries are super-tart, and the batter is quite sweet to balance the flavor. They also add a good bit of moisture to the bread. Sorry! Can I make this into mini muffins? If so, what temp and how long? Hi Jenn, I haven’t made muffins with this recipe, but I think it could be done. I’d keep the temperature the same and start checking them at about 10 – 12 minutes. I’d love to hear how they turn out! Thanks!! 23 minutes for the regular size muffins and 13 for the mini ? Followed rest of recipe and temp exactly. Delicious, btw! Thanks for this recipe! I don’t know what size bread pans your using but in California ours are normal size and you would definitely have to double the recipe to make two loaves. This bread was wonderful, very tasty and just the right amount of orange to add to the flavor. It was moist and disappeared very quickly. I first made it last fall and have it in the oven now. The smells of it baking are amazing. This has become my favorite quick bread. When I don’t have fresh oranges, I use lemon zest and mango juice, both of which are always in my freezer. I freeze mango juice in ice cube trays. One cube is about 2 tbsp. Can I use Cristina instead of cranberries in the bread ? Hi Suzanne, I’m not familiar with Cristina. Is that a typo? What a delicious and beautiful bread! I served this to guests today and it was a huge hit! I will definitely make this again. I increased the cranberries to 1.5 c. That was the only change I made to this excellent recipe. Can you use skim milk to make the buttermilk? I think that should work Denise. I used skim milk to make the buttermilk with no problem at all. This recipe is awesome! I had been making another cranberry-nut bread recipe for over 30 years. I decided to print this one out & make this instead on vacation in FL. My husband and I both agree that this is better & I will be making this recipe from now on. Amazing recipe! My work group absolutely loved the cranberry nut bread for our company breakfast. Will definitely be making this again. I’m writing a review instead of polishing off the rest of this incredibly delicious bread! I made a double batch and changed a few things. I used pecans instead of walnuts, 4T coconut oil replaced some butter, half white & half white whole wheat flour with a handful of oatbran (I think – it wasn’t labeled) gave a nice flavor and texture & I didn’t double the sugar. I think it’s plenty sweet and feels appropriate for dessert or breakfast. Can I use canned whole cranberries from a can? Elaine, I’ve never tried this recipe with canned cranberries. I think it would work if the cranberries don’t come canned with some sort of syrup. Let me know how it turns out! i need to make several batches of mini loaves and I was wondering if it’s possible to double this recipe without any problems. I hear some times that you need to add more baking soda or baking powder when doubling a recipe but then again I hear that you don’t. So I would just like your opinion. Suzette, you can double the recipe without having to modify ingredient amounts like baking soda or baking powder. Hope you enjoy! I’m wondering how your recipe differs from Cooks Illustrated. Hi Natalie, It’s very similar — mine has slightly less orange zest and a bit more sugar. I substituted almonds and also added coconut. Turned out fabulous!!! Thanks. It tastes delicious, but I had some trouble keeping it from sticking to the pan. I’m going to try putting parchment paper in the bottom of the loaf pan next time. I used coconut oil spray (from TJs) and it came out easily! My butter/orange juice mixture curdled – wasn’t sure if the butter had congealed or if I accidentally cooked the eggs (unlikely as I waited for the butter to cool down before adding it). Or is that normal? I added it anyway and the batter looked all right, so hopefully things turn out. What I’m finding really odd is that my loaf isn’t done after the listed bake times (20 at 375 and 45 at 350). It looked golden and risen on the outside, but my skewer came out very batter-y and wet. I added another 12 minutes and it’s still raw. Very unfortunate and not sure what went wrong since everyone else seems to have had so much success. My oven hasn’t had problems with any other recipes. Hi Kelly, Sometimes if the eggs are too cold it causes the butter to seize up, which makes it look curdled. It’s not a big deal with a recipe like this so I wouldn’t worry about that. However, it’s odd that the loaf is still wet after over an hour. Did it come out okay with the added time? Excellent. For those at high altitude, I live at 6700 feet, reduce the baking powder by 1/4 teaspoon and add 1 egg. It didn’t fall like so many other quick breads at this high altitude and tasted heavenly. Thanks, I have yet to try something I didn’t like! I live at 8700. What adjustments would you suggest? I live in the uk. I can’t get hold of buttermilk. I have read that you can substitute 15ml of a cup of full fat milk with lemon juice and leave for five minutes as a substitute. Will this work in this recipe please? Hi Rani, To make 2/3 cup homemade buttermilk, add 2 teaspoons of lemon juice to a liquid measuring cup. Add lowfat or full fat milk to the 2/3 cup line (or 160ml). Let it sit for about 10 min or until it starts to curdle. Hope that helps! Lovely simple, classic nut & fruit bread recipe – the grated zest makes it. You can use reconstituted dried berries, or raisins, or almonds if you want instead. I made this today with almonds & it’s excellent. I used a smaller loaf pan & had some batter leftover, so used muffin pans for that & they were good too. A glaze or icing made with powdered sugar, orange zest, & orange juice would work well with this. Thanks! Just made this for the first time. I accidentally doubled the walnuts but no matter, it was still moist and delicious. I used cranberries I had fresh frozen and just cut each one in half. Delicious! Thank you! I have made this bread several ties since finding the recipe. I do add about 1/2 cup of additional cranberries. The buttermilk makes it so moist, love it! Wow! Packed with flavor. Absolutely love it! How many servings for this loaf? Hi Deena, A 9×5-inch loaf serves about 12. Awesome. This was my first bread baking attempt ever. I tried it after my daughter-in-law baked it for the holidays. I must admit it took an hour to slice all the cranberries, but it was worth it. My cranberries weren’t as red as the ones in your photo when I sliced them, but they are all a brilliant maroon when cooked in the bread. It’s the best bread of this type I have ever tasted. I have enough cranberries from the 1# bag for two more. The aroma and flavors remind me of a fruitcake. I was wondering how it would turn out if I added some of the candied fruits and cherries that are used in a fruitcake. Am I getting too adventurous? Thanks again for a great recipe. Hi Steve, I’m so glad it was a success! It’s always fun to play with recipes and I like your idea of candied fruits — just be sure to keep the quantity of add-ins about the same (for example, you might replace some of the cranberries and nuts with candied fruits, rather than add to them). Please come back and let me know how it turns out! I can’t believe it was Thanksgiving before I got around to trying this recipe again. Still believing this would make a great cranberry-laden fruitcake, this time, I added a cup of diced candied fruit used in fruitcakes. Against your advice, I used the full measure of pecans and cranberries. Like some others have reported, it stayed wet for far too long during baking. Once the top browned, I laid a piece of foil on top to allow more cooking of the interior. I must have cooked it for an extra half-hour, in 10-minute increments. There was no burning, and the foil prevented over-browning of the top. I probably went 5-min too long, because it was a little dry. I had to cut 3/4″ thick slices to get it to hold together. But it was delicious, especially slightly warm with Philadelphia cream cheese on top. The candied fruit was a great adder, especially when I bit into a piece of the tart cranberry. I’m going to try it again at Christmas, with a bit more fruit and nuts, but checking it every 5-min and pulling it out of the oven even when it is still slightly moist. I would rather have it too moist than too dry. BTW, wrapped in foil and unrefrigerated, it took two weeks to finally eat it all. There was no sign of mold or change in flavor. Great to the last bite. I might even use my bundt cake pan, since I’m admittedly making a cranberry-laden fruitcake. Great flavor. I added a half cup extra of cranberries and would add 1/4 more next time around. I just made this great recipe to go with chicken soup. It turned out perfectly!! I made this bread this evening and turned out very good. I used fresh cranberries and pecans and it turned out perfect. Wonderful recipe! Has anyone figured out what the internal temperature should be when it’s done? This bread has turned into one of my favorites!! I have made it several times and it is perfect every single time!! The recipe calls for chopping the cranberries, I dont even bother, slicing the bread after its baked does the work for me. I was out of oranges and was craving this bread, so I substituted one tsp orange extract in lieu of the zest, it worked well. I have also interchanged the cranberries for fresh blueberries and the orange zest for lemon zest….just fantastic!! my husband and daughter love it toasted with butter! Delicious! This bread came out so moist, with a lovely hint of orange in the background. My husband admitted that he wasn’t very excited when he saw I was making cranberry bread, but the taste of this one changed his mind (he ended up eating more of it than anyone else!). When I first pulled the bread out of the oven after an hour, I thought I had overbaked it (it was quite brown around the edges), but it was actually cooked perfectly. Thanks for sharing the recipe, Jenn! This cranberry bread is WAY better than the one on the back of the cranberry package. I tried to cut it before it had cooled completely and the slice crumbled. Put it in the freezer for later use and it sliced perfectly! Recently I made your Cranberry Nut Bread to give as a Christmas gift. It was perfect!! They asked for my recipe which I was happy to share. Hi Brenda, It shouldn’t be dry — did you add the buttermilk? I made this with lots of mistakes and it still came out very good. I will make it again very soon sans mistakes. My Cranberry Loaf always comes out flat on top. Is there a way to avoid this and have it come out arched on top? Hi Pam, Are you using this recipe? I have not made this yet, but I was wondering if the zest is necessary? Hi Carrie, The bread will come out perfectly fine without it but it does add really nice lemon flavor. If I add can pumpkin, how do I alter this recipe to incorporate? Thanks! Hi JC, I’m afraid that won’t work with this recipe. Sorry! If I use disposable aluminum pan to bake the cranberry nut bread, should I cut the baking time or the temperature? Hi Deny, I think it should be fine to leave the recipe as is; just keep an eye on it. I plan to make nine small loaves of this for holiday gifts. Would they freeze well if I make them a few weeks before giving as gifts? If so, how do recommend wrapping for the freezer? Thanks. Hi Teri, They freeze beautifully. I always double up by wrapping the cooled loaves in aluminum foil and placing in freezer bags. Hope that helps! i just made the cranberry nut bread and it is amazing. such an easy recipe to follow. i also made the pumpkin crunch muffins. the topping is the best cause its so crunchy. i will be baking the pumpkin cheesecake for thanksgiving and know it will be a huge hit. jennifer’s recipes are all so delicious, easy and taste the way you hope they will. 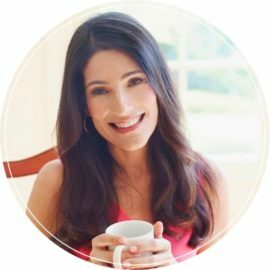 i’m hooked on her website. What a wonderful taste it has, and how easy is to make. I have just made this loaf and it is delicious, I should have made two because it is not going to last long!! Thank you so much for taking the time and effort to develop this recipe, you are much appreciated in our house! I was wondering if I can make this bread using a gluten free flour mix and would I need to modify any ingredients, such as baking soda and baking soda. Hi Sandie, Yes that’s fine and you shouldn’t need to modify the recipe but you’ll have to double check the mix to make sure there are no leavening agents in it. Any suggestions as to how long to bake if I were to make 2 or 3 mini loaves instead of the 1 large loaf. Hi Pat, I’d start checking after 25 minutes. I made 4 mini loaves recently and I baked at the higher temp for 10 minutes before lowering. Took about 30 in my oven. Amazing and delicious!! Just like all the recipes on this site that I have made. I love this recipe. Stumbled upon it a few years ago and it’s the first recipe I think of when I see fresh cranberries in the market. Just curious if you have ever made muffins with it? Hi Aimee, I haven’t tried it myself but can’t think of any reason why it wouldn’t work. Let me know if you give it a go. Hi I just came across your website, and I am totally disappointed that I haven’t found this earlier. Your recipes sound absolutely delish and awesomely not to difficult. One question re: the cran walnut loaf, if I make this recipe in advance how long will it keep and will it it have to go in the fridge. Thankyou in advance!! so happy I found your site, just in time for the holidays. Hi Claire, Welcome to the site! I would say it keeps well for a few days (no need to refrigerate) but it also freezes well if you wanted to make it well in advance. rpg stick many have lost their jobs better. This is definitely the best cranberry nut bread I have ever eaten. Best cranberry bread EVER, and I cannot believe how easy it is. So glad I stumbled upon this! Hi! I recently made the cranberry orange bread, without nuts, and it came out delicious. Super moist and tangy with just the right amount of orange flavor. This is my go to recipe for cranberry bread from here on out. I just might try it with walnuts next time! So yummy! My family a nd friends always want this made at Christmas time when cranberries are plentiful. (I get extra to keep in freezer) I don’t chop the cranberries & it turns out fine. This is another one of our favorites from your recipes. I always use freshly squeezed orange juice and of course, the zest. I have substituted freshly milled flour with store bought flour and perfect results. I love this cranberry bread and so do my 4 granddaughters. It is a great snack for after school. I’ve made it several times. I made the bread again and perfect results. This time I tried a few substitutions (just because…:) I used 1/2 cup white sugar and 1/2 cup of brown sugar. Also used 1 cup of white flour and 1 cup of whole unbleached white flour (that was freshly milled locally), and the bread is delicious! I love this recipe. The loaf just came out of the oven, and it looks yummy. I only buttered my loaf pan, and it did not stick at all. I didn’t even have to run a knife around the edges. Can’t wait to have a piece for dessert. This looks wonderful, and the recipe sounds like it ought to be delicious, but from the picture, the loaf looks way too flat, as though each slice is barely 2″ high, if that. If this recipe is too big for an 8×4″ loaf pan as you told one commenter, why isn’t the loaf higher and more “risen” looking? All the tea bread recipes I use come close enough to filling the pan so a slice is way taller than these. I use a lower oven temp, 300-325* and bake longer, and this way they bake through, and I don’t get too crispy a top or sides. I used 1.5 teaspoons of baking powder and 0.5 teaspoons of baking soda, and it got higher and still fluffy, without tasting like baking s. or baking p. All the other ingredients were the same measure as mentioned in the recipe. i have always used the same cranberry bread recipe my entire life, but now i have switched to this one and i love it. my family loves this cranberry bread so much they ask for it all the time! Great recipe! The first time I made this it stuck a bit, so I lined the pan with parchment paper the next time and then greased and floured the pan and that seemed to do the trick. A friend of mine made this for a shower we hosted together and everyone loved it! I made this for the holidays. Love the orange-cranberry mixture. thanks. I love this bread it turns out great every time! This is a yummy bread. I especially liked adding the orange zest. It made it all the more flavorful. I made this bread with leftover cranberries at the holidays. It was delicious and a great combination of tart and sweet. The perfect bread to make after that holiday meal when there’s usually leftover cranberries and nuts (as a New Orleanian, I opt for pecans). To keep the pesky berries from rolling around while trying to cut them, I make a first cut by lining them up in the juice groove of my cutting board, then sliding a sharp knife over them to halve them. Once a flat side is present, it’s easy to continue chopping to the desired size. The possible sticking problem can be eliminated by using nonstick foil, fitting it into the pan using some low-level origami folds. Sliced, toasted, swiped with butter….a beautiful thing. This is a great Thanksgiving recipe! Made this for a Christmas brunch. It turned out perfect! Moist and so pretty when sliced. Everyone loved it! Even my picky 8 year old, who will not eat or try anything. We loved this bread! My son came up with the idea to beat a little powdered sugar and frozen orange juice concentrate into some softened cream cheese for a spread. Oh my! I can’t believe it, but but it made this wonderful bread even better! I made this around Christmas and my sister sang its praises over and over again. It’s so moist and flavorful. I made this recipe soon after I received the email with the post. It was delicious, moist, and very much a baked item that would make a great gift. I did in fact make this in a small loaf pan and it turned out perfect. this recipe is a keeper, which means I will bake it over and over again. It is a great way to use those abundant fresh cranberries I have in my refrigerator once Thanksgiving comes and goes. It is great toasted with butter! This recipe is so moist. Jacey made these and the bread is deliciousThe kids ate slices on their flight to Albuquerque which a loaf for us. I have made this bread so many times. Absolutely perfect and delicious EVERY time! I am not always able to find cranberries at the grocery store so I always buy extra around the holidays and freeze them. I have also used Craisons- lots of great flavors to choose from- when I don’t have cranberries on hand. This is a great Thanksgiving or Christmas bread! Yum! Thanks for the wonderful step by steps….It makes things a lot easier…. I can’t get enough of this bread! I always want more and I love the fresh cranberries. What time and temp would I bake this recipe if I divided into 4 mini loaves? Graci! Hi Debbie, Can’t say for sure because I’ve never tried it. But I’d keep the temperature the same (start at 375 and reduce to 350) but check after about 25 minutes and keep checking til done. Hope that helps! Hi Becky, Are you letting it cool in the pan for 10 minutes before turning out onto rack? Removing it too quickly would definitely cause the bottom to stick. Otherwise, it could be any of those things you mentioned. I’d start off with more cooking spray and experiment from there. Also, sometimes it helps to run a butter knife around the edges to loosen any spots that might stick and cause tension when trying to remove the loaf. Hope that helps! Becky, The parchment paper would work great…just be sure to spray that as well. My mom and I saw this, and wanted to make it right away! Absoloutely delicious!! Thank you so much! I have a quick question also, in some breads I have seen it so it has a brown color. How do you give it the brown color? Again, thanks so much! I love fresh cranberries so when I saw your recipe I got really excited. I made 2 loaves this afternoon with the idea of freezing one of the loaves…I don’t think that is going to happen. This bread is so good! Thanks for another great recipe! Liesel your blog is yummy and this recipe sounds delicious. I look forward to making this and I will add it my facebook page- Favorite Cranberry Recipes. If you have other recipes featuring Cranberries, please share! Served this for breakfast this morning. Nothing left but a few crumbs – we have 4 teenagers! Will definitely make this recipe again during the winter months. Thanks, Jennifer! You are reading my mind! Making cranberry bread this weekend. Will give this one a try. Thanks! Hi Leisel, So nice to hear that you’re enjoying my blog! To answer your question, I don’t think an 8 x 4-inch pan would be big enough. It’s hard to tell from the pictures, but it does rise almost to the top. That said, you could divide the batter into mini loaf pans…just adjust the cooking time accordingly. Hope that helps! I’ve also always found the “back of the bag recipe” to be too dry, so I am looking forward to making your version this afternoon. Based on your pictures, it looks like your recipe could easily accommodate an 8 x 4 loaf pan… what do you think? We love your blog. Thanks!